By now, you likely know the importance of exfoliation: it’s essential to keep your skin glowing. Chances are, you already have a weekly exfoliation routine down pat — be it a satisfying scrub or a gentle acid peel — to help promote cellular turnover and reveal fresh, radiant skin. While both options hold the potential to reveal luminous, petal-soft skin, there’s a third option for those of us who really want to take exfoliation to its absolute max: Dermaplaning. “Dermaplaning is a physical exfoliation process that uses a scalpel to remove the surface layers of skin,” explains NYC dermatologist Dr. Sejah Shah, founder of SmarterSkin Dermatology. Scalpel? Remove skin? Before you write it off as a new, masochistic beauty trend, rest assured: this process does not hurt. In fact, many find it to be relaxing. Dermaplaning relies on a specially-designed blade, which looks similar to a men’s flat-edge razor. A highly trained aesthetician uses the tool to gently (gently!) scrape away dead skin, debris, and whatever else your skin might have accumulated (barre class grime, stubborn longwearing makeup, you name it). And unlike your favorite scrub, dermaplaning can remove vellus hair, (or peach fuzz which can trap dirt and dead skin. 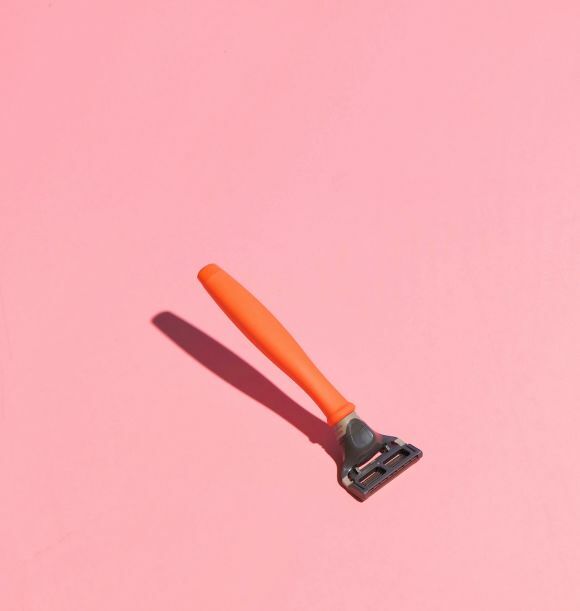 While a treatment that removes hair with a blade may sound suspiciously like shaving, dermaplaning truly isn’t. Dr. Shah notes that this treatment “can’t remove thicker, coarse terminal hairs,” and will not give you a five o’clock shadow, stubble, or likely cause your hair to grow back thicker. According to Dr. Shah, vellus hair does not look or grow like regular hair — and returns to its original state when it grows back. The peach fuzz regrowth process takes about a month, and for that reason, professionals recommend scheduling your dermaplaning appointments once per month. Luckily, getting dermaplaned is as simple as getting a manicure — and appointments take less than an hour. “There’s very minimal downtime,” says Gunna Covert, master trainer and esthetician from DAPHNE Studio and Penelope & The Beauty Bar in NYC. “It’s possible you’ll see some redness right afterwards, but that’ll go away shortly after the procedure,” she adds. Basically, you can return to normal life as soon as you leave your appointment — and be glowier all the while. Now that you’ve gotten over any potential concerns about pain or facial stubble, you’re likely wondering if dermaplaning is right for you. Good news: It probably is. Unlike certain exfoliation techniques that can irritate sensitive skin (e.g. some chemical peels), dermaplaning is ideal for all skin types, with the exception of those with pustular acne, Covert explains. What’s more, a once-monthly dermaplaning treatment nixes the need for weekly at-home exfoliation techniques, since it sloughs off dead skin on a much deeper level than any traditional at-home product could. As with most beauty treatments, post-care is almost as important as the act itself. After dermaplaning, sun protection is more vital than ever; after shedding that topmost layer, the fresh, healthy (and delicate!) skin underneath is exposed. Try a soothing sunscreen such as the EltaMD® UV Daily Broad-Spectrum SPF 40 ($27), which is formulated specifically for sensitive complexions. Ready to give dermaplaning a go? Many licensed aestheticians, medispas, and dermatologists offer the service. Alternatively, some brands, including Dermaflash ($189), have launched at-home versions featuring foolproof blades. (Remember, while effective, these tools will not necessarily give you the deepest level of exfoliation, Shah notes. Leave that to the professionals.) But whatever you do, just don’t take a razor to your face! Doing so could seriously rough things up — which would be a shame when there are options for achieving super smooth skin!